Healthy Living Hero awards are back for the sixth year in a row. The La Crosse County Healthy Living Collaboration (HLC) is seeking to recognize local youth, adults and organizations who have worked to make La Crosse County a healthier place to live, work and play. The awards recognize those who have worked to improve nutrition/healthy eating, physical activity and/or tobacco-free living. All applications materials must be submitted by Sunday, December 9, 2018. A selection committee of current Healthy Living Collaboration members will score the applications and select the winners. All winners will invited and recognized at the January 11, 2019 Healthy Living Collaboration meeting. Farm2School Chili as featured on WIZM & News8000! To prepare using local, frozen ingredients similar to the schools, use frozen Snopac vegetables in the same quantities listed above. These are available at area grocery stores including Woodman's, Festival Foods and the People's Food Co-op. The La Crosse County Nature Connections program is releasing a one-stop electronic resource for connecting with nature in La Crosse County – www.natureconnectionslax.org! This electronic Nature Guide is a resource aiming to make outdoor, nature-rich places in La Crosse County easier to discover – for residents and visitors alike. The array of parks, nature preserves, and hiking and biking trails is expansive. As such, locating and accessing information about each one can quickly become an internet scavenger hunt. 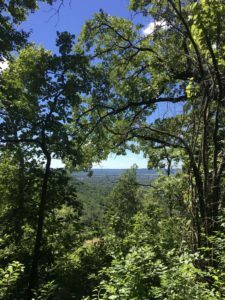 This Guide will become your ‘home base’ when seeking out natural areas in La Crosse County. The Guide’s interactive map allows you to search outdoor places by location. Furthermore, each trail has a specific page identifying all access points, directions, parking, and trail terrain & difficulty. A unique feature of the site includes a biodiversity rating for each area (variety of different types of life throughout a given environment) and a listing of dominant features (i.e. scenic overlook) expected in each location. Did you know that, as little as 5 minutes a day spent connecting with nature can have a positive impact on your health! Furthermore, research shows that exposer to outdoor areas that have more biological diversity (biodiversity) provides the greatest health benefits. It’s Great Lakes Great Apple Crunch time, and the Coulee Region Farm2School program is joining schools, preschools, colleges, businesses and individuals across the Great Lakes Region in celebrating National Farm to School Month by crunching into locally grown apples in during the annual Great Lakes Great Apple Crunch on October 11th! All public schools in La Crosse, Onalaska, West Salem, Bangor, Holmen and La Crescent-Hokah as well as Coulee Region Farm2School partners Gundersen Health System, Mayo Clinic Health System, and La Crosse County Health Department will be celebrating. 1) Onalaska students at Irving Pertzsch will celebrate with the Onalaska Fire Department – the fire fighters are serving lunch and showing off their new fire truck. 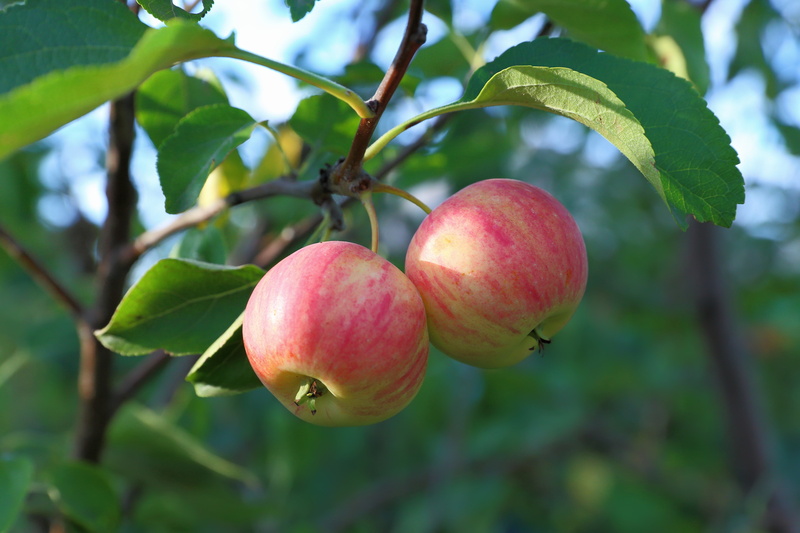 2) Holmen students will be enjoying local apples in their newly built orchard – in a few years the orchards will grow apples for the entire district. 3) Hamilton Elementary will be crunching together with Gundersen Health System staff as part of the trail renaming on the Gundersen Campus. Starts at 12:15 p.m.
4) Mayo Clinic Health System will be passing out free local apples at noon in the Market Place in La Crosse and the Café in Sparta. Apple inspired treats and local apple bags will be available for purchase. This collective crunch encourages healthy eating and supports farm to school and local food initiatives throughout the Coulee Region. The Coulee Region Farm2School program is a partnership between La Crosse County Health Department, Mayo Clinic Health System – Franciscan Healthcare, Gundersen Health System, and the School Districts of Bangor, Holmen, La Crescent-Hokah, La Crosse, Onalaska, and West Salem. Visit www.laxf2s.org for more information.